is a locally owned & operated company out of N. Little Rock, AR that prides itself on providing homeowners with quality service every “shingle” time. Locally Owned & Operated: Arkansas residents know that high temperatures, strong winds, heavy rain and even hail can speed up the need for roof replacement. Poor rooftop installations and subpar materials are among the leading causes of roofing problems. Sometimes, fly by night roofing companies may offer a good deal, but use faulty materials which only serve to worsen the situation. Homeowners may have saved money with the initial investment but lose more in the long run when they need to deal with water damage, structural problems, or damaged and missing shingles. 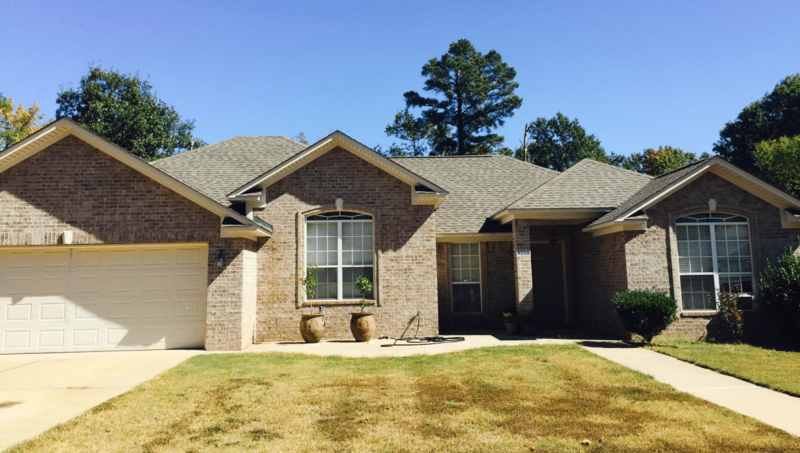 We are a locally owned and operated company out of North Little Rock, Arkansas and understand how frustrating it can be to deal with sudden roof damage. Installations, Warranties, & Materials: We always strive to provide customers with the most efficient installations to help avoid future problems from developing. 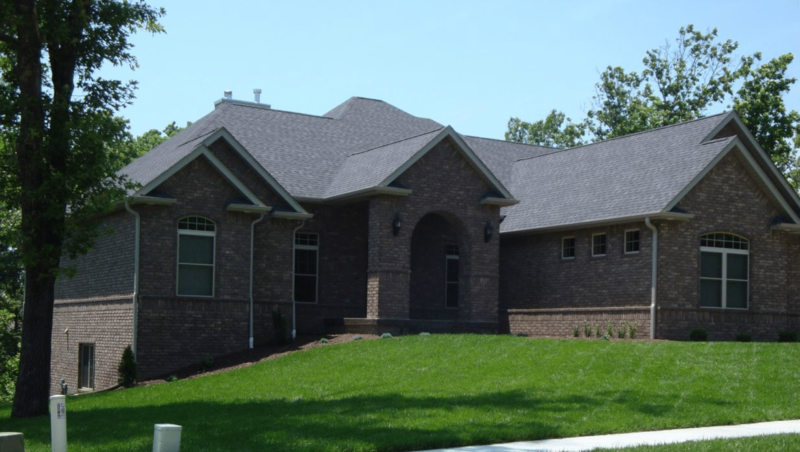 Pitch Perfect Roofing LLC only works with the most reliable materials and uses the best practices, backing it with manufacturer and above standard contractor warranties. Every roof replacement from Pitch Perfect Roofing LLC comes with a 5 year labor warranty along with the best manufacturer warranties in the industry. We guarantee satisfaction after every carefully performed installation and replacement. Licensed, Insured, & Bonded: We are licensed, insured, and bonded as well with documentation available upon request and Require No Money Upfront, making sure that homeowners feel at ease about the project. Home Remodeling & Renovations: In addition to providing customers with a variety of commercial and residential roofing services, we take pride in our ability to help with numerous other home improvement procedures. We provide siding replacements and installations, gutter services, soffit and fascia repair, insulation, drywall and sheetrock repair, and painting. We offer top notch remodeling projects that can breathe new life into an old property. Satisfaction Guaranteed: Pitch Perfect Roofing LLC is dedicated to a thorough job no matter how big or how small it is. No matter what homeowners need to have done, we are ready to provide the best results at the most affordable prices. Call today and ask about a free inspection which could result in a roof bought by homeowners insurance. Along with offering excellent craftsmanship, we offer a Free Inspection and are happy to go the extra mile to deliver exceptional customer service. We work with you to create a timeline for roof replacement completion, and we walk you through each step so you know what to expect. If you are replacing your roof with insurance due to storm damage, we can even help represent you when negotiating with your home insurance provider. We are licensed, insured, and bonded as well, with documentation available upon request and Require No Money Upfront, making sure that homeowners feel at ease about the project. Decking: When we remove all of the old roof right down to the decking, we’ll work in sections to ensure that your home is never left vulnerable to rain. We’ll also make sure that the decking is solid and your roof starts with a strong foundation. Ice & Water Shield: With Ice & Water Shield in the valleys where two-roof sections join, there will be extra protection for your new roof. Flashing: Although underrated, the flashing is a vital part of the roof replacement process. By working with high-quality metal flashing designed to last for a lifetime, we ensure that your roof remains waterproof. Accessories and Vents: Whether it is a wind turbine or a customized vent, we won’t skimp on the accessories that complete your roof. Products with lifetime guarantees mean you won’t need to replace them again. Shingles and Tiles: At first glance, it can be hard to tell the difference between first-rate shingles and tiles, and sub-par products. When working with Pitch Perfect Roofing LLC, you can trust that we will only provide or recommend the best products out on the market. Underlayment: Since no one sees the underlayment when the roof replacement is finished, some companies skimp on the quality or even reuse the old materials. We stick with new, high-quality materials such as synthetic felt that will protect your home. Repairs: There are dozens of reasons that you might need to have your residential roof repaired. Heavy winds and storms could cause damage; leaks could creep up over time; you could be dealing with shrinkage; or there might be standing water. Whatever problems you encounter with your roof, seek out the best roof repair Arkansas has to offer. Improper repairs can do more damage in the long run, so working with professionals is always best. Hail, Wind, Gutter, Rotted Decking, Pipe Boots, etc. damages roofing. Let us know! We appreciate your feedback! Locally Owned & Operated Company out of N. Little Rock, AR that prides itself on providing homeowners with quality service every “shingle” time. Address: 20 Sugar Creek Rd.